One of the inescapable truths today is that disaster can strike anytime, anywhere. Whether it is man-made or brought about by nature, disasters can claim lives and destroy properties in an instant. The most effective way to minimize damage is to alert people in the quickest way possible. SMS alerts have proven to be the best way to reach as many number of people in the shortest period possible, particularly in developing nations. India, one of the most populous countries in the world, has had its share of misfortunes in the past years. Perhaps the most heartbreaking of these disasters happened in 2004, when a strong earthquake that occurred in Indonesia caused a massive tsunami that devastated countless communities in India and nearby countries. More than 230,000 lives were lost during the so-called Boxing Day Tsunami in December of 2004, while displacing more than 2 million people. Impact on the Indian economy was estimated to be worth more than 100 million dollars. During that time, there were no tsunami warning systems in place. People living in coastal areas had no clue whatsoever that a huge earthquake had happened and which triggered a series of devastating tsunamis. People were caught by surprise; they were helpless against nature’s fury. That unfortunate incident taught the leader of India about emergency preparedness. If the government had a tsunami warning system back then, people living in the coastal areas could have been alerted to leave their homes and evacuate to higher places. Experience is the best teacher, they say. After learning firsthand how a tsunami warning service can save the lives of thousands, if not millions of its people, the Indian government put up a tsunami warning service. 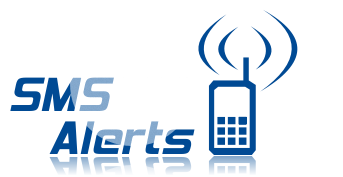 The service is SMS alerts-based and designed to communicate with as many people as possible. The service is intended to provide accurate information and relay it in the shortest time possible. The warning service, which was launched in 2015, sends SMS alerts immediately to all mobile phones in India. However, citizens there have to sign up so they can get alerts during emergencies. The service can pinpoint precise warnings, guidance, and other information to a particular region in India before a disaster strikes. The service isn’t limited only to tsunamis but also other natural disasters like typhoons. In the case of a tsunami, the service can provide India’s citizens with accurate and rapid info on the size, scale, and more importantly, the expected time of the disaster. This allows the people to make the necessary measures to secure their safety. People in the Philippines are one of the most ardent users of mobile phones. The country, too, is one of those nations which are badly hit by typhoons year in, year out. Thus it only made sense that authorities set up a SMS alerts warning system to inform residents about typhoons and tsunamis that may happen due to a strong earthquake. In the said Southeast Asian country, SMS alerts are sent by telecommunications firms for free to its subscribers in compliance with a recently enacted law. The SMS alerts are only transmitted to subscribers living in areas where a storm is predicted to hit. It should be noted that almost everyone in the impoverished nation owns a mobile phone, which makes it easier to transmit time-sensitive, important information to as many people as possible. Indeed, technology is vital to saving as many lives as possible and minimizing damage to property during natural disasters. We are fortunate to be living in an era where communication is fast and efficient.